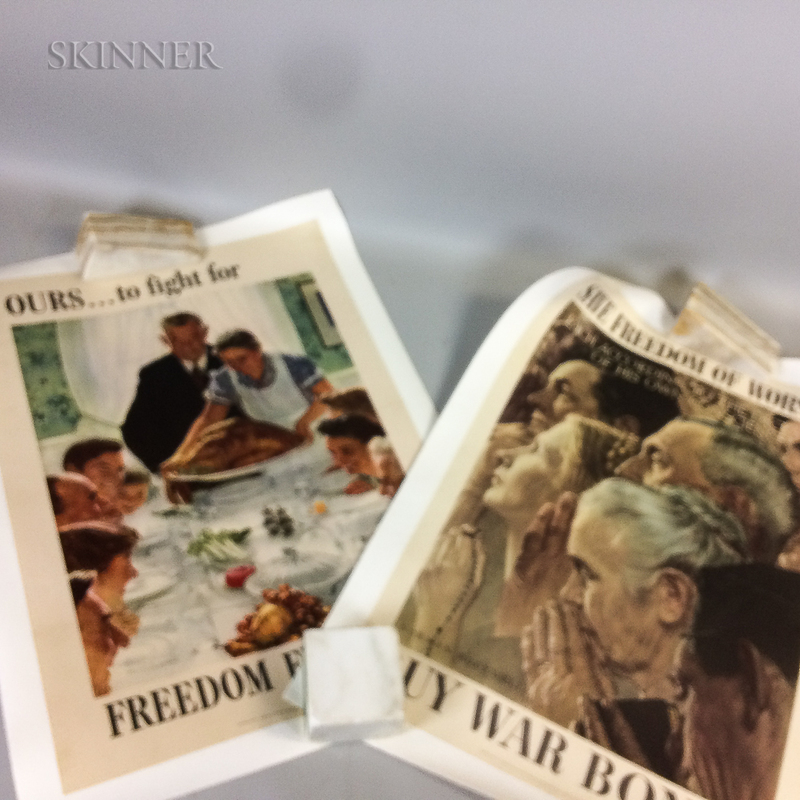 Set of Four Unframed Four Freedoms War Bond Posters: Freedom from Want, Freedom of Speech, Freedom from Fear, and Freedom of Worship, published by the Office of War Information, printed by the U.S. Government Printing Office, 1943. Color offset lithograph on paper mounted to canvas-backed paper, image sizes 28 x 20 in. Condition: Scattered creases, abrasions, fox marks, and soiling, rolled.